Karen Kamensek is equally at home in the opera house and the concert stage. Her repertoire spans from iconic staples of the classical canon to compositions by the masters of today. 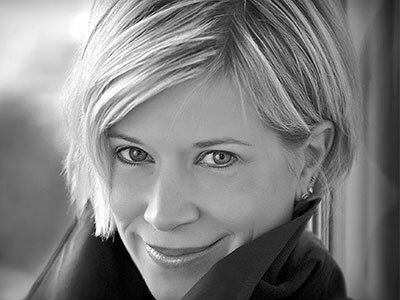 Karen frequently collaborates with Philip Glass and has led performances of Orphée (New York, Germany) and conducted the premiere of his Les Enfants terribles (Spoleto Festival, USA). She appears regularly as guest conductor with numerous orchestras throughout Europe and SE Asia, and has worked with youth orchestras in Linz, Cologne and Dortmund. Last summer she led a programme at the American Institute of Musical Studies (AIMS) in Graz, Austria. She has led productions at Deutsche Oper Berlin, Frankfurt Opera, New York City Opera (touring company), Opera Australia, Royal Danish Theatre, San Diego Opera, San Francisco Opera and Volksoper Wien, among many others, in performances of Death in Venice, Pelléas et Mélisande, Susannah, The Merry Widow, Pagliacci, Cavalleria rusticana, Boris Godunov, Tosca, Otello and Lohengrin, among others. Notable engagements elsewhere: Music Director/Chief Conductor of the Staatsoper Hannover since 2011: Lady Macbeth of Mtsensk, Die Meistersinger von Nürnberg, Il trittico, Glanert’s Caligula, Jenufa, Candideand Der Freischütz; Susannah (San Francisco Opera).